MZ Skin Soothe and Smooth Collagen Activating Eye Complex, 0.5 oz. MZ SkinSoothe and Smooth Collagen Activating Eye Complex, 0.5 oz. A firming eye cream that contains a tri-peptide to stimulate collagen and elastin. Albazia Bark Extract detoxifies and strengthens capillaries, reducing dark circles and puffiness. Hyaluronic Acid and Ceramides restore moisture and plump and smooth fine lines. 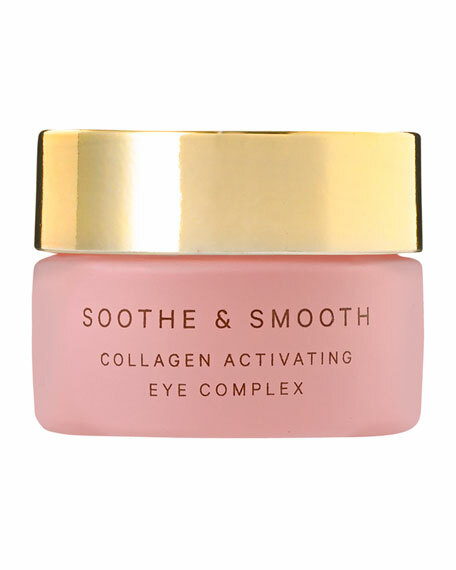 Provides long-lasting hydration to smooth fine lines and restore suppleness around the eye. Darphin Wrinkle Corrective Eye Contour Cream, 0.51 oz.